« What was your Dad like when you were a child? I’ve always been a fan of those stories that start with, “Whatever happened to?”…and then you read about a child actor or someone well-known years ago. That’s why it’s so much fun to reconnect and to stay connected with old friends. Plus, I’ve found we still have so much in common. 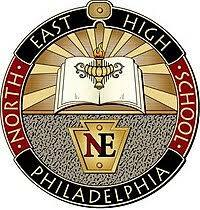 Forty-eight years have passed since I have entered Northeast High School in Northeast Philadelphia in 1970. 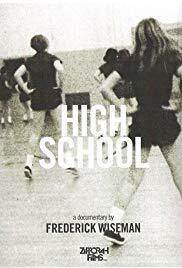 I’m proud of my time at Northeast, and not just because Frederick Wiseman made a famous documentary movie there (“High School“) in 1968. Tony Danza created a TV show there (“Teach“) in 2010. 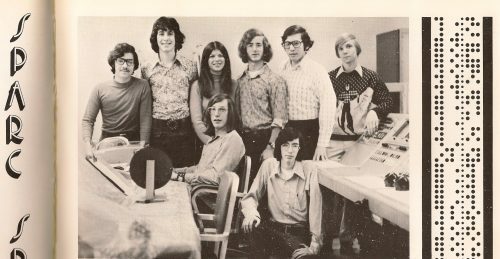 I was there in between those two media events, I graduated in 1973. 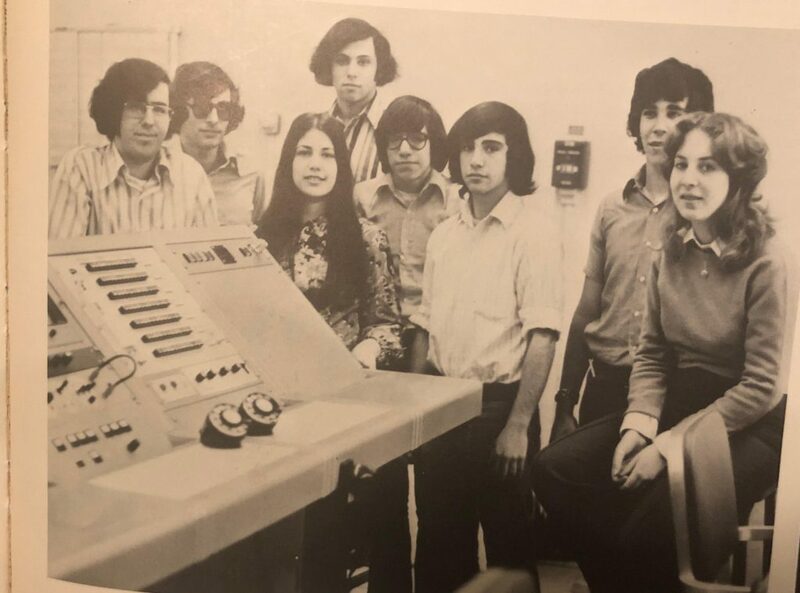 I was active, especially in a club called SPARC, which stood for SPace And Research Club –where I met a nice boy named Bob Merion–I’m standing just to the left of him, the only girl in the picture, and one of a few girls in the group. From left to right–people I’m still in touch with from Sparc 1973–On the right is a piece of tape with computer dots in it, that’s what Jeff and the other computer geeks fed into the computing aspect of the club. You can see we are sitting at a monitoring station with computer screens, much like in the NASA shows. The club had a real space capsule, that moved, and a contract for research with NASA. Neil Harris, who lives near DC and Bob gets to see him frequently. 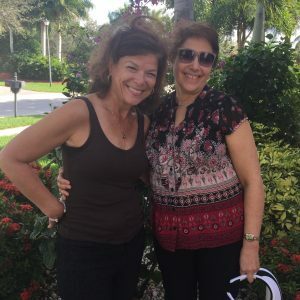 Gail Rothberg Eisenberg–we were best friends in elementary school and still have managed to see each other a few times since high school and stay close with letters and email. 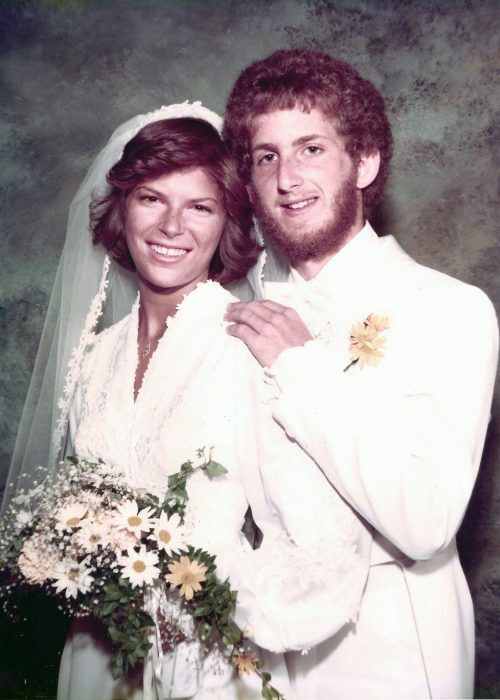 Gail became an Eisenberg about the time that I lost the name to become a Merion, when she married Fred Eisenberg, who sat near my brother Gary at Northeast. She teaches marketing at Muhlenberg College in Allentown, which my brother attended. 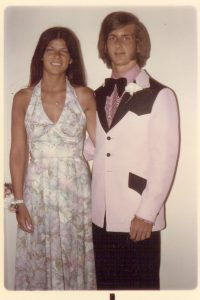 Gail and I were very close in elementary, I was taller, and more athletic and interested in writing, she was the math wiz with 2 sisters and a brother who helped me understand the drama of a bigger household. I also learned from her (and her sister) the beauty of making a lasagna for a family meal that lasts. 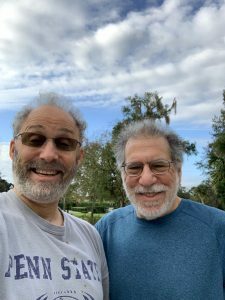 Fred Wittenstein, who lives in Orlando and we see almost every year with his lovely wife Laurie Levin when we’re down in Florida. Marc Servetnick, who came and stayed with us in Florida this year for a fun night! I stay in touch with some other friends from high school on Facebook. There was Lynne Edelstein, whose locker was next to mine since they were alphabetic by last name (Edelstein–Eisenberg) and Marcy Cohen Lidman, who was the editor of the school paper that I wrote for too, and who had the party where I met Bob. We were also friends with Sheryl Rudie, who I also stay in touch with on Facebook, and who once visited us in England with her wonderful late husband Hank. 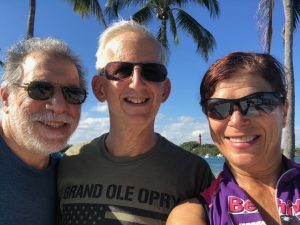 And there is Lisa Litman, who found me on Facebook a few years ago when she said, “Is that a picture of the Jupiter lighthouse?”Are you in Jupiter? I am too! Then we became reunited and have been fast friends ever since, visiting in Phila and Florida. 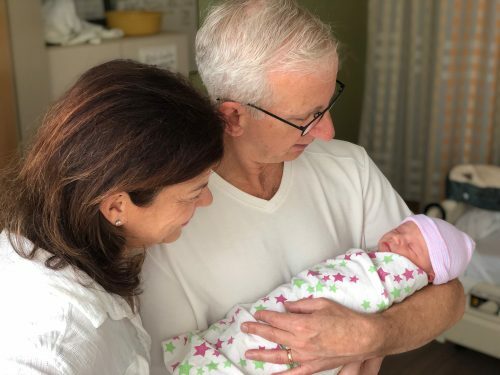 And since her daughter had a baby a few months before, we are now both bubbies! Here’s a picture of me and Lisa! 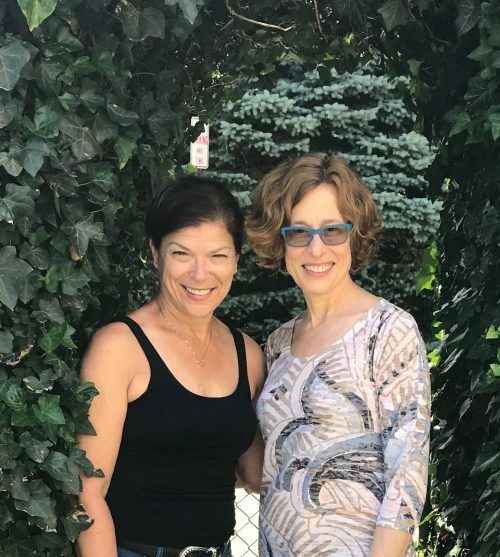 Deb Merion and Lisa Litman 2018–Now both bubbes! From these friends I’ve observed dedicated husbands and fathers, wives and mothers, who have used their intelligence and creativity to help their communities and families. I’m proud to know them all. And even though my husband Bob Merion has grey hair now, I still think he looked like Ryan Phillipe in “54”. Bob Merion and Ryan Phillippe–brothers from another mother?